SHEFFIELD’S Dalton Smith has been named in the British Lionhearts team to take on Astana Arlans Kazakhstan when the World Series of Boxing (WSB) makes its first appearance in the ‘Steel City’ next Thursday (17 May 2018). The semi-final match will be the first time the British Lionhearts have competed in Sheffield, which is home to the Olympic boxing programme and the GB Boxing squad that provides the majority of the boxers in the Lionhearts team. It will also be the first time Smith has competed in his hometown for nearly two years and he is joined in the Lionhearts team by 2018 Commonwealth Games gold medallist, Galal Yafai (light-flyweight), Niall Farrell (bantamweight) and Ben Whittaker (middleweight) from the GB Boxing squad and overseas selection, Radoslav Pantaleev (heavyweight) from Bulgaria. 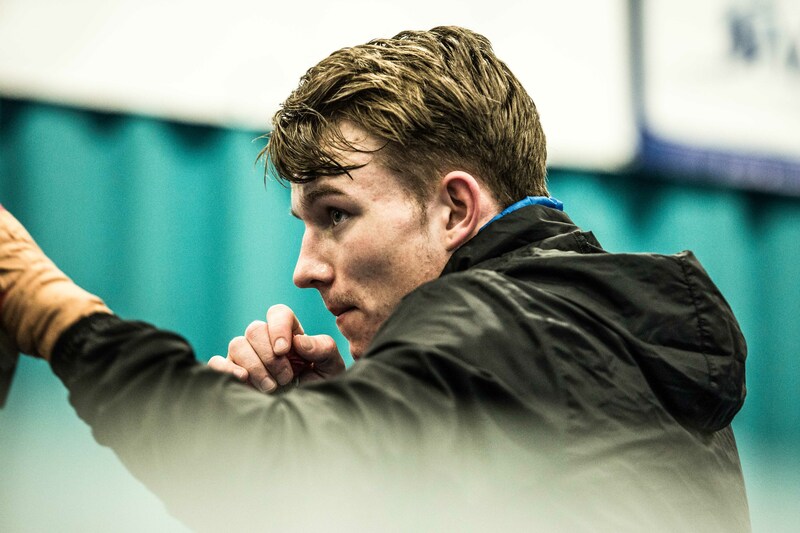 Smith said: “It is fantastic that we are boxing in Sheffield. In the GB Boxing squad we usually compete overseas so it is very rare that I get to box in my home town. “It means my family and friends have the chance to come along and support me and a lot of them are planning to be there on the night. “Two former members of the GB Boxing squad, Charlie and Sunny Edwards, are attending as they used to box for my club, Steel City ABC, which is bringing a few of the younger boxers along as well. The Sheffield fixture is the home leg in a two match semi-final against the defending champions from Kazakhstan and will be Smith’s second appearance of the season following a unanimous victory over Ivan Njegac of Croatia in the group stages. In total, he has three wins from four bouts in WSB, his sole defeat coming against Cuba’s three time world championship medallist, Yasnier Toledo, in the 2016 final of WSB. Smith added: “The Kazakhstan team is full of world class boxers but there is also a lot of talent in our line-up and we have a good track record in the competition so, whilst we respect our opponents, we do not fear them. “It is the third time we have met the Arlans in the semi-final and although they beat us last year, we won in 2016, so it should be another close match. “It’s great for the people of Sheffield that WSB is coming to the city. Anyone that likes their boxing should definitely come along as they will see some top quality action from two world class teams.